I need to know how large a motor is needed for this boat and for trolling. 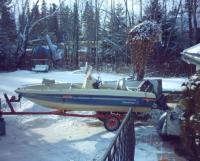 It is a 1987 springbok with V hull and has a 2 stroke, 50 merc on it. Will a 40 merc, 4 Stroke be big enough to push this? We need to troll with it and have heard that the 50 merc, 4 stroke won't idle down enough to troll. Would like to get rid of the gas powered trolling motor. Have an electric trolling motor for calm days on the water. Whats the boat rated for? Seems a little big for a 40, but if it has a 50 on it, maybe that's what its rated for? Check the HP rateing on the plate on the transom. You want to have as close to max HP as you can. 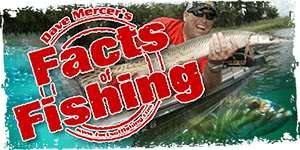 A 40 is better than nothing, but you may be underpowered if you get into a "situation" on the water. A 4 stroke 40 or 50 will troll down no problem.....I troll with a 2 stroke 40 with no prob.....I can get it down to 1.5MPH. If I need to go slower, I use the electric. There is also the option of a trolling plate.....lots of guys on this board use them I believe. I have a 50 HP 4 stroke on my 16 &1/2 foot Tracker - trolls right down - no problems. I have a kicker motor ( 8 HP ) for it but didn't even bother to install it. The 50 is cleaner, and way quieter and NO OIL TO MIX WITH GAS and I can honestly say that it gets incredible gas milage while trolling! - Go with the 50 4-stroke - you'll be glad you did! I think that that Peter.. is made of fiberglass and is rated for a 70 ... so maybe add a few horses to the back... Buddy has a similar boat with a 60 E-Tec and does 38 mph on GPS...even slows down to a descent trolling speed.... VERY VERY good on gas. Comparable to a similar Aluminum unit with a 40. I was looking at the picture and I think I can say that that is'nt a Springbok..... doesn't it say Peterborough on the side? Never mind the 4 strokes go for the high efficiency ,power and lightweight of a E.F.I 2 stroke ... just as good on gas weighs less and pollutes the same....cheaper purchase price. Yes, sorry, it is a Peterborough, and we can't find the transom tag even though our friend is the original owner. Bought in Timmins. We were just wondering about the 50 trolling speed, don't you guys use it on larger water than us? 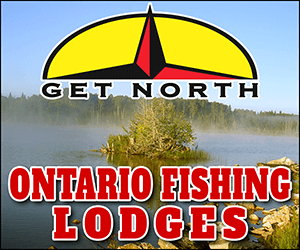 We use it on Mattagami Lake and slow troll for walleye. I'm also in favour of going with the bigger motor. For trolling slow you can always back troll, use a plate, or put out a drift sock (this is what I use). A 40 4 stroke will troll right down for you.....no prob. If its too fast, add a trolling plate or drag a driftsock/bucket until you get the speed your after. I don't think you'll need it though......the 4 strokes will purr at low idle. I would be less concerned about horsepower and more concerned about weight. Judging by the waterline in the picture, a 40-50 4 stroke might be a bit heavy for the boat considering the 50 2 stroke sits as low as it does. Check the weight of your current motor and compare to the 4 stroke models. I have trolled for eyes up there with a lot of different boats and motors, same here, even my SeaRay with a 233 hp mercruiser, flat lining. My brother`s 135 merc and a 1.6 or 1.9 sea drive never had a speed issue. Don`t know how big a factor it could be. Before you go nuts on changing engines, very expensive, check how things work now, if it is too fast, there is an idle adjustment that would slow things dowsn, the turn of a screwdriver. If that is too fasr, think of a new propeller for about $130 with less pitch. It will probably be less top speed but idle at a slower boat speed. If the new prop doesn't work, sell it and the motor!! !